The North American International Auto Show in Detroit is like Christmas morning for any automotive enthusiast. We always enjoy learning what’s coming up next, and what models we have to look forward to in the coming year. 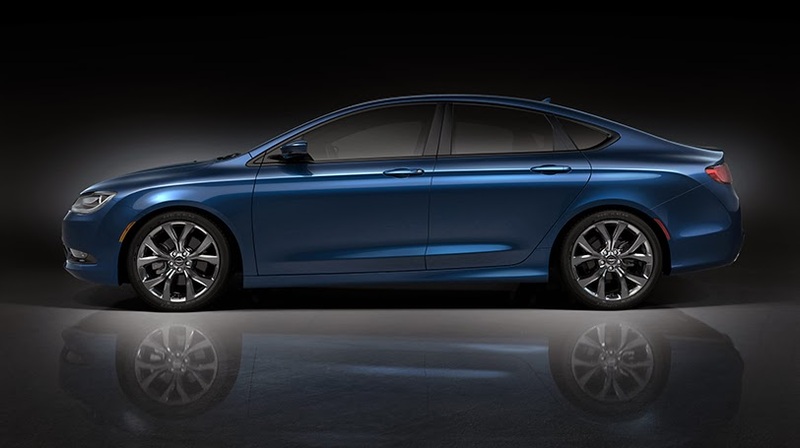 The all-new 2015 Chrysler 200 Sedan was unveiled at the Michigan auto show and we can’t wait to get our hands on it just as much as you can’t wait for a test drive. With up to 35 MPG highway and available 295 horsepower, this brand new Chrysler next-generation midsize sedan has been designed to fit you. The brand new 2015 Chrysler 200 has more available horsepower than its competitors, including the Honda Accord, Toyota Camry and Chevy Malibu. This new sedan has a class-exclusive 9-speed automatic transmission—very unique! When looking for any car, new or used, safety is always top priority – and Chrysler takes it seriously, as well. We understand and value the importance of safety, and with the new 2015 Chrysler 200, you can feel very safe every time you go for a ride. Having that peace of mind knowing you’re driving one of the safest vehicles on the market is something that can’t be bought. What’s so safe about the Chrysler 200? For starters, it has 8 standard airbags and a steel constructed cage to keep you and your passengers as safe as possible. The new Chrysler 200 also offers features that keep you safe including the available Forward Collision Warning with Active Braking and available Perpendicular Park Assist. Did you know this new Chrysler offers more advanced standard and available safety features than any other in its class? That might just be the best news yet. Safety, performance, luxury and affordability are each important to the Uftring Pekin team, knowing that each car we sell to you is at the best price around. We have many Chryslers available right now in our showroom and on our lot. Stop by Uftring Chrysler Dodge Jeep Ram in North Pekin sometime and chat with a member of our sales team about the 2015 Chrysler 200 Sedan. If your budget won’t allow for the purchase of a brand new vehicle, we have a huge selection of pre-owned inventory that looks as good as new at the lowest prices!